Start learning drums before you have a drum set. 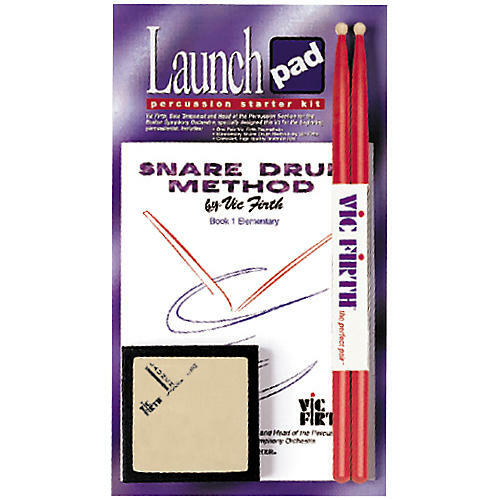 The Vic Firth Launch Pad Kit includes a pair of SD1 Jr. drumsticks, a 4" practice pad, and a copy of Vic Firth's Snare Drum Method-Book 1. Provides a great way to start learning drum basics. Order today and start learning drums.